Healy Consultants assists our Clients with opening a corporate bank account in France. Our experienced banking team will prepare all requisite documentation on your behalf and submit them to the bank. We will also attend the bank interview on your behalf. 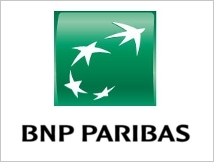 Please click on the links below to find out more about France business banking. Starting a France company is currently an interesting option to benefit from inexpensive corporate loans, with interest rates averaging i) 2.2% for companies with less than 25 employees and ii) 1.8% for larger companies. Healy Consultants may also assist to open an additional international corporate bank account with a top tier bank, outside of France. Examples include London, New York, Germany, Bulgaria, South Africa, Australia, or Dubai. It is a time consuming task and our fee for this service is €4,950 without travel or €2,550 with travel. All banks will be top tier banks in these countries with excellent internet banking services. All businesses in France are entitled to open a corporate account. In case of refusal, a designated bank will have to provide an account with services including i) a debit card and ii) collection of checks and transfers. Our in-house experts may also provide our Clients with assistance to secure trade finance services in France including i) bank guarantees ii) letters of credit iii) finance against trust receipt (for imported goods) and iv) document against payment and against acceptance. All France companies and individuals must disclose their assets detained abroad to the authorities or are subject to penalties including i) a €1,500 fixed fine and ii) a fine representing 5% of assets for each year undeclared.